Computer cake - Surprise your techie loved one with this laptop birthday cakes by Land of Cakes New York. Computer cake made with fondant and buttercream icing. Perfert novelty cake for the computer geek in the family. This laptop shaped cake resembles a macbook pro computer and is 100% edible. 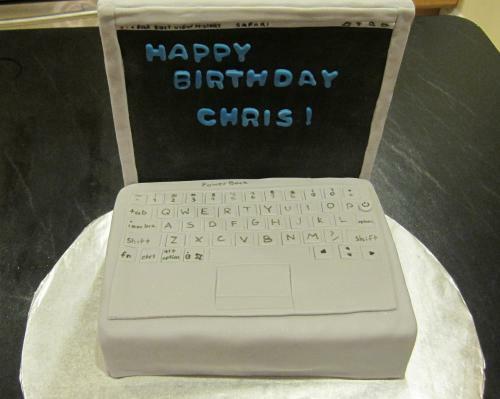 Surprise your techie with this creative laptop birthday cake by Land of Cakes New York.